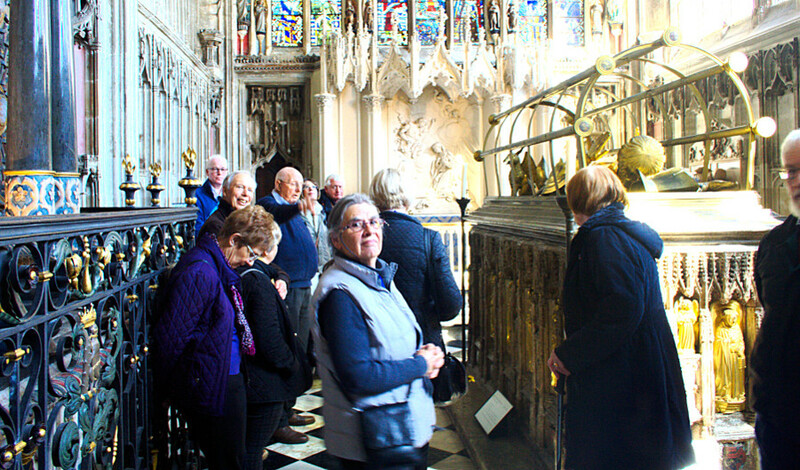 On Thursday 11th April 24 members of the U3A visited the Lord Leycester Hospital in the morning and the Collegiate Church of St Mary's Warwick in the afternoon . They were given a guided tour of each establishment. In the reign of Queen Elizabeth I the buildings became, under the patronage of Robert Dudley, Earl of Leicester, a place of retirement for old warriors who had fought in the Elizabethan era wars. These soldiers are known to this day as the Brethren and with the Master, still live within the walls of the building. Master and Brethren are a living legacy of almost 450 years of history. Every morning they meet in the Chapel and pray together the words written by their founder Robert Dudley. The church enshrines much of the history of England, and has great architectural beauty and significance. It is a home of prayer and worship, with a strong musical tradition. St Mary’s was founded on its present site in 1123 by Roger de Newburgh, the Earl of Warwick. The glorious Beauchamp Chapel was built in the Fifteenth Century to house the tomb of Richard Beauchamp, the Earl of Warwick and one of the richest and most powerful people in the history of our country. It is a magnificent example of the European ecclesiastical architecture of its time, and ranks as one of this country’s greatest treasures. The Chapel also houses the tombs of Robert Dudley, Earl of Leicester, his brother Ambrose Dudley, Earl of Warwick, and Robert’s son, the “Noble Impe"
The Chancel, Vestry and Chapter House were rebuilt in the Fourteenth Century by Thomas Beauchamp, and this section of the building represents one of the highest peaks of English Gothic architecture. The tomb of Thomas Beauchamp stands in front of the high altar; the tiny figures around its base give a fine depiction of Fourteenth Century English fashion. Fulke Greville's enigmatic monument takes up most of the Chapter House. The Nave and Tower were destroyed in the great fire of Warwick in 1694, and rebuilt by 1704 by the brothers Francis and William Smith, builder architects of Warwick. The chapel of the Royal Warwickshire Regiment (Royal Regiment of Fusiliers) occupies the North Transept. Sitting in the April Sunshine waiting for the tour to start. 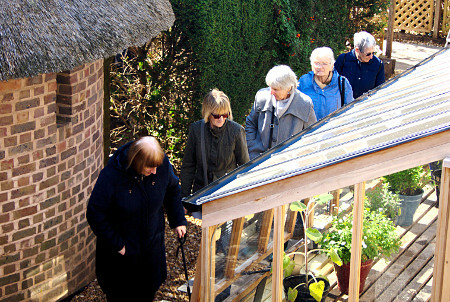 On March 14th 20 members visited the MAD museum in Stratford upon Avon. Wednesday 17th April 35 Ramblers met at the Fleur de Lys pub in Lowsonford. Led by Fran and Ian Lester they walked along the Stratford Canal towards Lapworth before crossing to the Grand Union and walking towards Rowington before crossing fields to return to Lowsonford. Wednesday 20th February 2019 Lynn and Tony Brinkworth led 30 walkers from The Griffin Inn, Church End on a circular ramble around the Shustoke Reservoir. Tuesday 5th February 2019 over 30 members met at he White Horse - Hawkesmill Lane, Coundon for a walk around the Coundon Wedge and through Allesley Village. The walk was lead by Jim Henry and the weather was cold, dry but overcast. The members of the U3A were entertained by U3A Swing Division at the March Core Meeting. The band is made up of members from 11 different U3A's within the West Midlands. 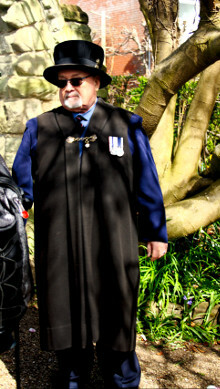 The following photographs were taken by Alan Cross.